Love strategy? You need to try rymdkapsel. This game goes from soothing to stressful so quickly you’ll barely notice – but you won’t want to stop playing. Minimalism is the word for this one. The visuals are clean, favouring simple shapes over anything resembling realism. And the mechanics are familiar: you build, you grow, you extract, you research ancient artifacts, and you survive an ever-growing onslaught of enemy attacks. But there’s something about this three hour game that’s just right, even if it leaves you wanting more by the time you finish. We think it’s one of the best Android games of 2013 Mobile Gaming Comes Of Age: Best Android Games In 2013 Mobile Gaming Comes Of Age: Best Android Games In 2013 Shooters, runners, arcade, racing, puzzles -- we show you the best games released in 2013 for just about every genre. Beware, addictive picks inside. Read More , and a recent PC/Mac/Linux release means there’s no excuse for not checking it out. Oh, and the weird name? It’s Swedish for “Space Capsule”. 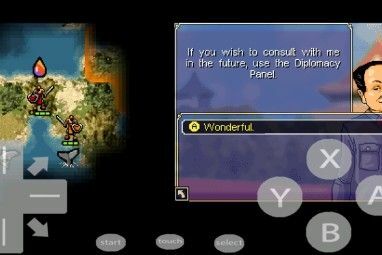 The game starts by quickly explaining its mechanics. Don’t worry: it’s not a prolonged tutorial. You’ll find out about the different kinds of things you can build, and how they relate to each other. Units assigned to Engineering and Food Service will create resources you need. Units assigned to Construction will build things. You need to manually pick what and where to build – drag a specific structure from the top into place, rotating if necessary. There’s another job: Research. Build toward a monolith and you can assign researchers that can unlock it’s power, such as making your units move faster. Explore for a while and you’ll find out that you’re not alone: enemies will regularly attack you. You can defend your units from being picked off by assigning some to defense. These attacks start slow, but pick up with a vengeance. The game ends when these enemies take out every one of your units. Rymdkapsel starts slowly enough, but soon becomes chaotic – as strategy games tend to. It’s essential that you balance what your units are up to, and pay attention to the red bar at the bottom of the screen – it lets you know when to expect attacks. It’s also a good idea to make sure there are defense blocks located close to pretty much everywhere you units might be. As you can see, I didn’t manage this on my first playthrough – but am really excited to give this a couple more tries. Some reviewers on Google Play feel the game is too short, and they have a point compared to the countless free games out there offering hours of entertainment. To me, however, the game is worth the price of a movie ticket, considering you’ll get at least three hours of quality gameplay. Want to try this game out? Head to rymdkapsel.com, where you’ll find downloads for most platforms – PlayStation Vita, Android, iOS, Windows, Mac and Linux are all covered. My screenshots are from the Android version, but play is similar across platforms. 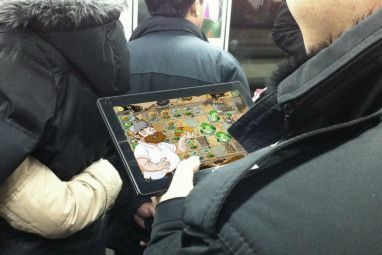 Strategy games lend themselves well to tablets – perhaps better than any genre of gaming. 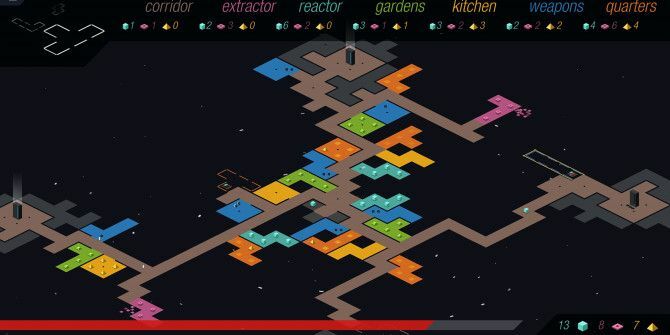 If rymdkapsel isn’t enough for you, I’d suggest checking out these must have strategy games for iOS 5 Must-Have Strategy Games for iPad [iOS] 5 Must-Have Strategy Games for iPad [iOS] Touch controls are great for games that require thought rather than quick, twitch movement. You can plot moves, activate abilities and direct units all with the touch of…well, your touch. 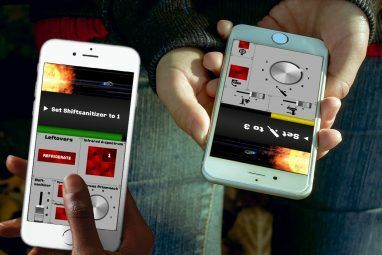 You’d expect that to mean... Read More and these great strategy games for Android The 5 Best Strategy Games For Android [Gaming] The 5 Best Strategy Games For Android [Gaming] Of all the genres that can be played on a mobile device, strategy is my favorite. Touchscreens often aren’t the best choice for titles that rely on quick reflexes, but in strategy titles where planning... Read More . How did you enjoy the game? Let us know in the comments below, and feel free to recommend any other games you think are worth checking out. Explore more about: iPhone Game, Strategy Games. This looks fun but Im going to wait for it to go on sale/free then there I might purchase it on appstore.